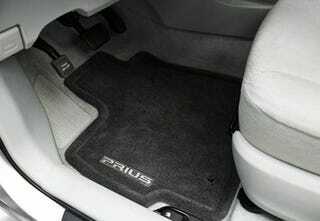 Toyota's announced this morning they will eschew replacement for reshaping of accelerator pedals and/or floor surface on Toyota or Lexus vehicles involved in the "floor mat fiery death" non-recall safety advisory. In the meantime, here's how to avoid fiery death. Here's the full press release. We'll be on a conference call in a few minutes to get more details on this non-recall recall of approximately 4 million vehicles. Anyone have any questions they want us to ask? TORRANCE, Calif., Nov. 25 /PRNewswire/ — Toyota Motor Sales, USA, Inc. (TMS) announced today details of the vehicle-based remedy to address the root cause of the potential risk for floor mat entrapment of accelerator pedals in certain Toyota and Lexus models. Toyota issued a consumer safety advisory on September 29 on this issue and has, as an interim measure, commenced the mailing of safety notices to certain Toyota and Lexus owners on October 30. In addition, as a separate measure independent of the vehicle-based remedy, Toyota will install a brake override system onto the involved Camry, Avalon, and Lexus ES350, IS350 and IS250 models as an extra measure of confidence. This system cuts engine power in case of simultaneous application of both the accelerator and brake pedals. Owners who have further questions are asked to visit www.toyota.com or www.lexus.com or contact the Toyota Customer Experience Center at 1 800 331-4331 or Lexus Customer Assistance at 1-800-295-3987.